Steven A. Johnson - Mediator based in Merrillville, Indiana. If you’d like a list of available dates for Steve Johnson, please submit a request below. You will hear back directly from Steve's assistant, Sandy. bargaining table is widely known and highly respected. Having tried hundreds of cases since 1975 in both state and federal courts, clients rely on him for their most difficult matters, from class actions representing both plaintiffs and defendants in areas as diverse as civil rights and sexual harassment to fair debt collection. 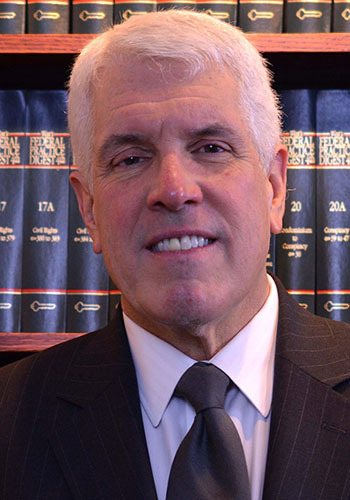 Business disputes, large contract litigation, construction litigation and personal injury matters involving catastrophic injuries including traumatic brain injuries are part of Steve’s practice. As a labor attorney representing management, Steve is widely respected on both sides of the bargaining table, having bargained collectively and having resolved work disputes with virtually all unions in the highly unionized Northwest Indiana area. Taking advantage of Steve’s litigation skills and bargaining expertise, attorneys began relying on him to mediate their civil cases. Since his practice as a Certified Mediator began, Steve has now mediated well over 3,000 cases. Steve is a member of a number of professional organizations, including American Bar Association, Indiana State Bar Association, the Florida Bar, the Lake County Bar Association, the Seventh Circuit Bar Association and is a Master member of the Calumet American Inn of Court. Steve and his son, Art Johnson, have enjoyed serving as the only two Indiana management-side representatives on the National Labor Relations Board Region 13 Planning & Procedure Committee. Steve is AV rated by Martindale-Hubbell in Litigation, AV rated by Martindale-Hubbell in Labor & Employment Law, listed as a “Top Rated Lawyer in Chicago” for ethical standards and legal ability by Martindale-Hubbell, listed among the Top Lawyers in Indiana by the Legal Network and has been honored by Strathmore’s Who’s Who.